A developer building on a spot across from the Bayview LRT station is proposing what would be the city's tallest building: one that would stretch 65 storeys tall. A developer building on a spot across from the Bayview LRT station is proposing what would be the city's tallest building: one that would soar to 65 storeys. TIP Albert GP Inc. owns the 1.44 hectare property at 900 Albert St., at the southwest corner of Albert and City Centre Avenue. 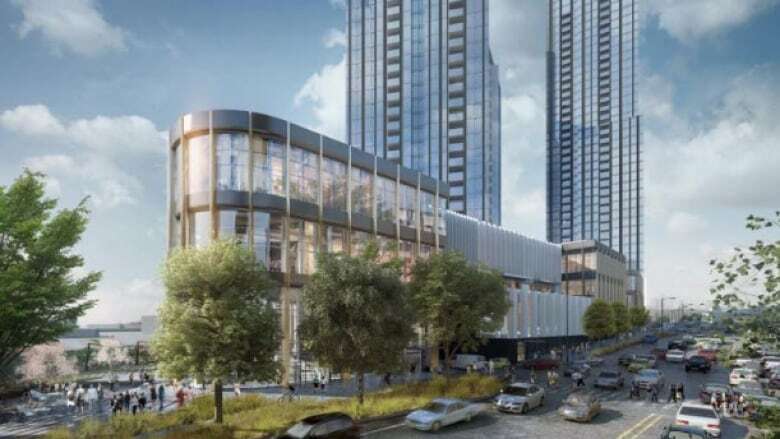 It is proposing a mixed-use development with three towers that are 65, 56 and 27 storeys, all on three-storey podiums, along with six levels of underground parking. The proposed development would have 1,241 residential units plus office and retail space, with 1,059 parking spaces and 740 spots for indoor bike parking. The city's planning committee would need to approve amendments to the official plan and building heights to allow the tower complex. In a comment attached to the city report in advance of the next planning meeting on July 10, Somerset ward Coun. Catherine McKenney expressed her frustration with a number of elements of the design, including the size of the tower, which she says will "neither complement nor respect its location." 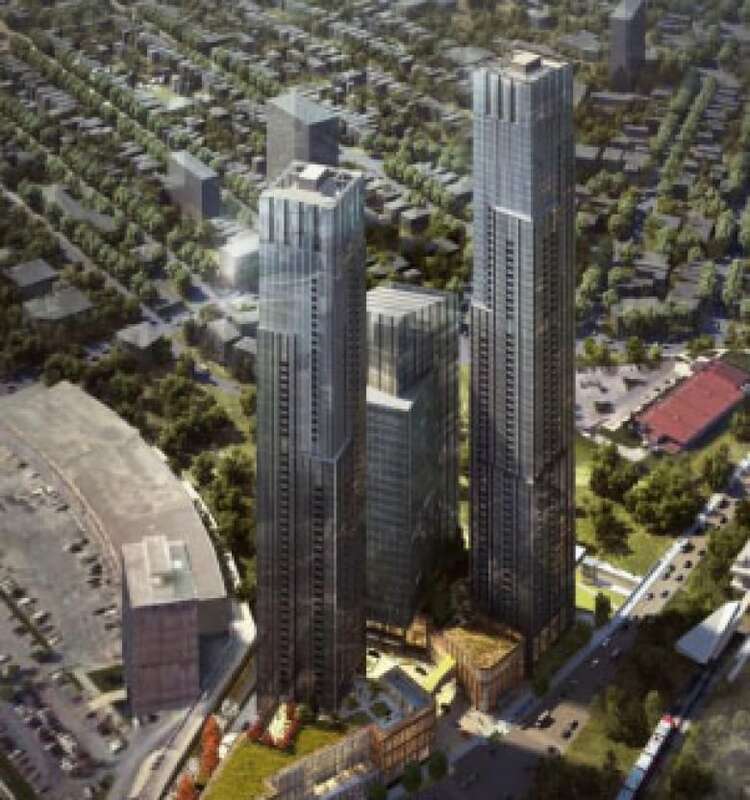 "The proposed towers are overwhelmingly tall and out of scale with both the surrounding community and the established growth and built form objectives in the Community Design Plan, Secondary Plan, and Zoning By-law. Furthermore, the 65-storey tower will be unique in Ontario and possibly Canada in its location and immediate surrounding built context." The city's urban design review panel, in reviewing the plan, also expressed concerns about the height of the building in relation to the rest of the street, calling the proposed permitted height "incredibly significant, with considerable implications for the city's skyline." City staff argue the building is in a prime spot for intensification given its location next to the light rail station and in the city's centre. Staff also recommends that the planning committee send the file to council for approval on the very next day, July 11 — the last council meeting before the summer break. In exchange for the added height, the developer will contribute $975,000 cash toward Somerset Ward's affordable housing fund and the design and construction of a future pedestrian and cycling bridge over the existing O-Train corridor along the former Wellington Street right-of-way. Last fall, council approved an $8.2-million grant to the developer to help decontaminate the land at 900 Albert. The proposal would be one of many developments clustered around the future light rail line to push building heights across Ottawa. The nearby East Flats development by Claridge Homes is planning five high-rises ranging in height from 25 to 45 storeys. The tallest building in Ottawa currently is the Minto Metropole condo buliding in Westboro. It is 108 metres, or 32 storeys tall, though several buildings under development are set to surpass that height.